Download Creative Resume PSD Template. 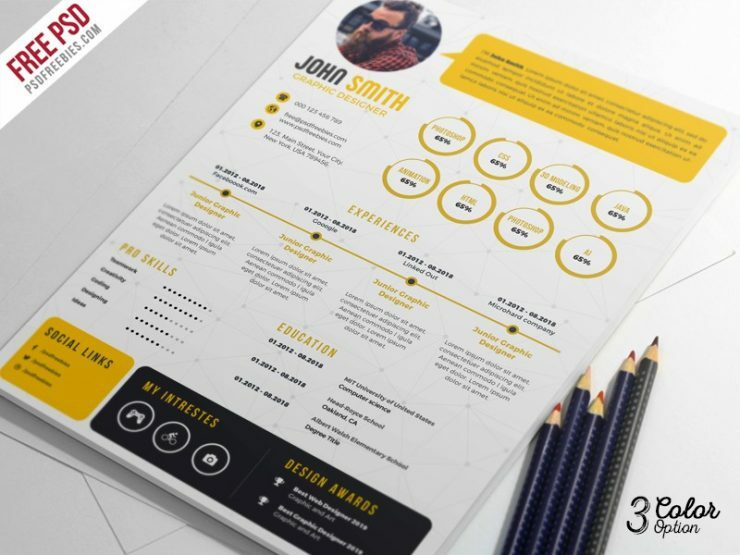 This Free Resume Template which is perfect for any photographers, designers, and developers. You can display your photograph, your contact details, and your skill experience very easily. This free resume template design comes in 3 color options to choose from. If you download this Free Creative Resume PSD Template, you will get 3 psd file in A4 Size, 300 dpi and CMYK Format.